You still have time to edit your design and place the order! The old tool will be accessible until January 13. 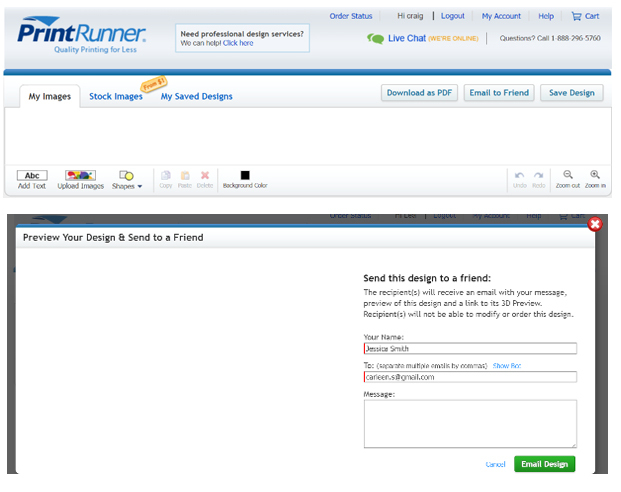 After that, all designs will be using the new design tool to give you a better experience. We listed ways you can make today and common issues for a smoother transition. Login to your account and go to My Account > Saved Designs. Select the old artwork you wish to download or email. Click "Edit Design". Download artwork as PDF or email to yourself. You can recreate the old designs in the new tool so you can take advantage of the new features. 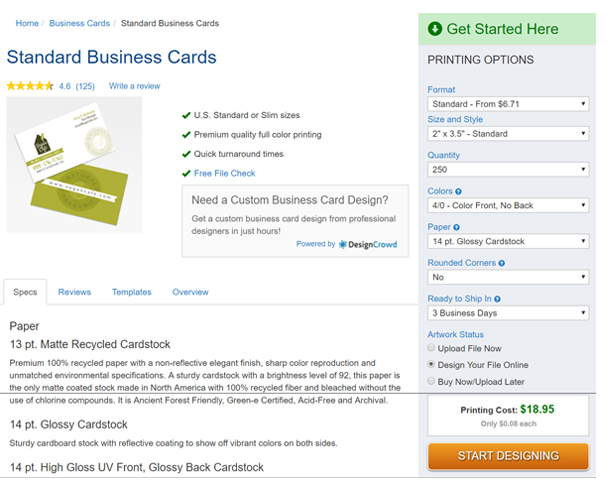 Select the sizes and paper material (You can modify the specifications when you place the order). 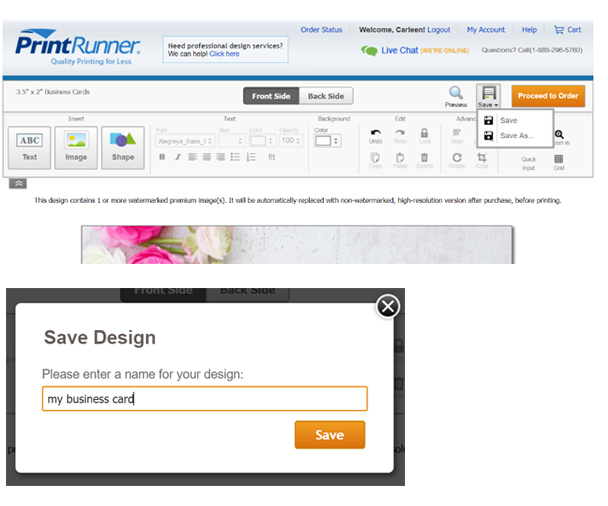 Select "Design your file online" and click "Start Designing". Start designing using the new tool. Save your design. It will appear to your My Account > Saved Designs. What will happen to my designs I've previously ordered? Your designs from previous orders will not be affected. You can reorder them from "Orders & Proofs" under "My Account." You can select "Orders & Proofs" under "My Account" to place the order. What if I want to make small changes to a design I previously ordered? You will now be able to edit your design using the New Design Tool. From "My Saved Designs," select "Reorder." Then "Edit Design." This will open the New Design Tool and you can redesign the artwork as you wish. What issues will I encounter when I make changes to a design I previously ordered? You may notice color differences due to conversion from RGB to CMYK. There's a remote chance a previously used font will not be available or properly converted. We recommend that you check the fonts on your design to ensure you're able to use the ones you need. Alignments of some elements may not be the same as displayed on the old design tool. What new features are available? CMYK color scheme. The new tool uses CMYK, giving you more control over the colors and accuracy of your printed product. Layers. It allows you to add styles and elements on the top of another layer. It is perfect for revising and adding more details to your design. Wider font selection. You can choose more font styles for your design. Are stock images still available? Yes. The new tool gives you access to stock images that you can use for your designs. You will be able to purchase a license of the images and remove watermarks upon placing the order. How do I get help using the design tool?